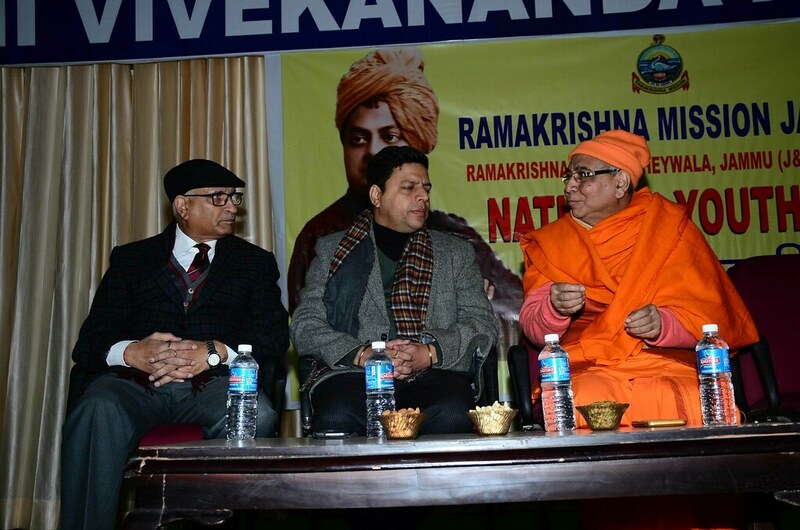 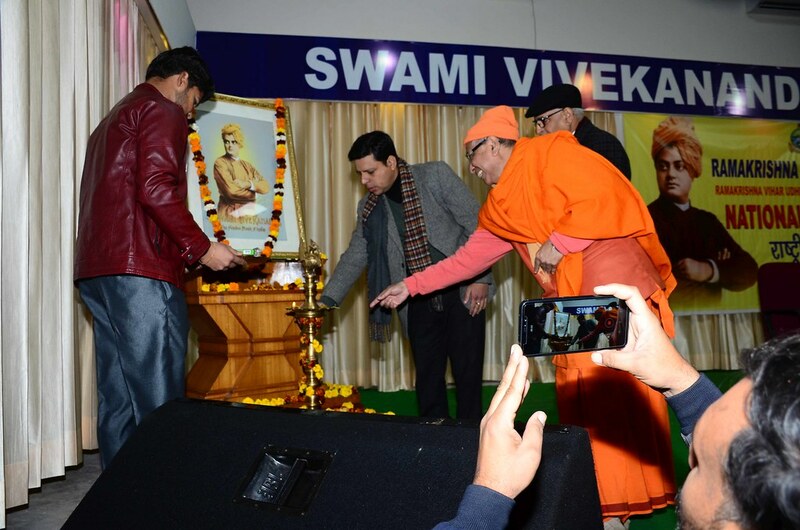 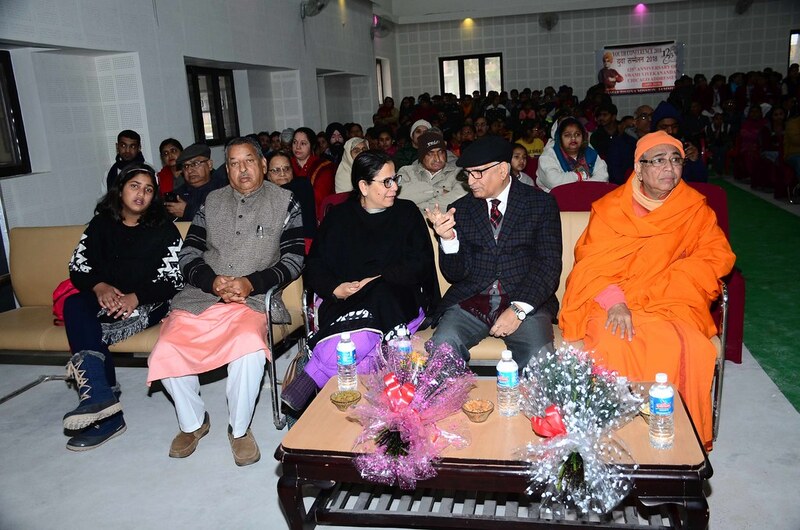 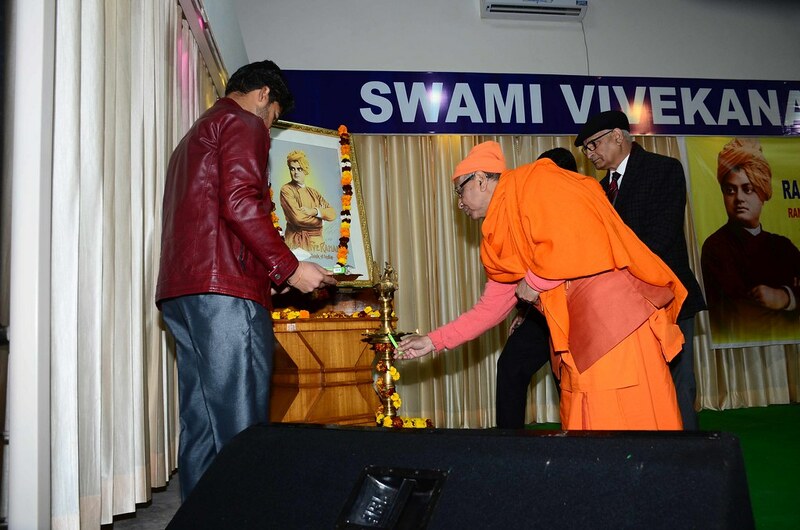 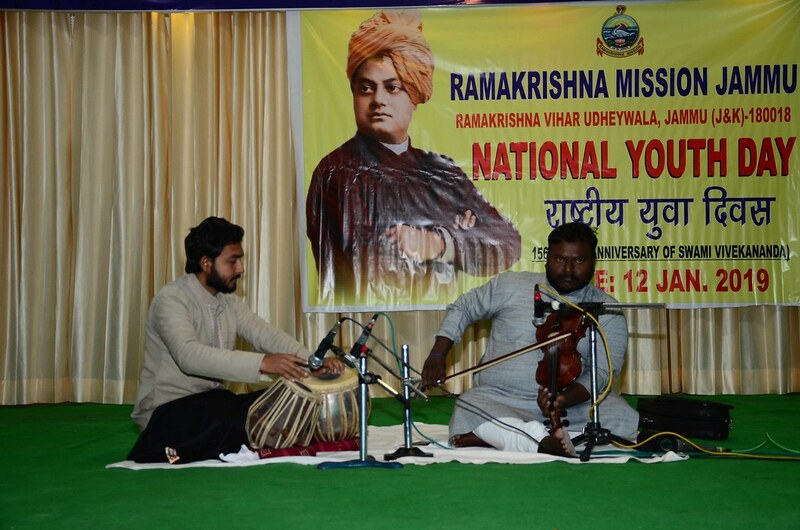 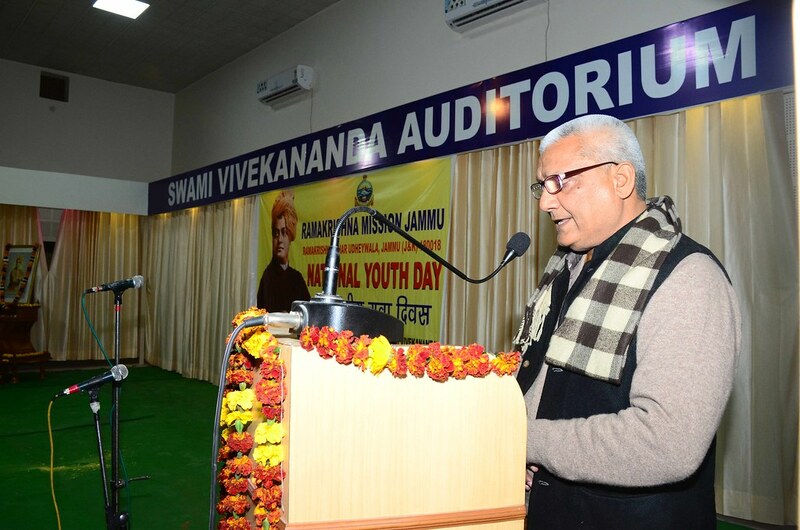 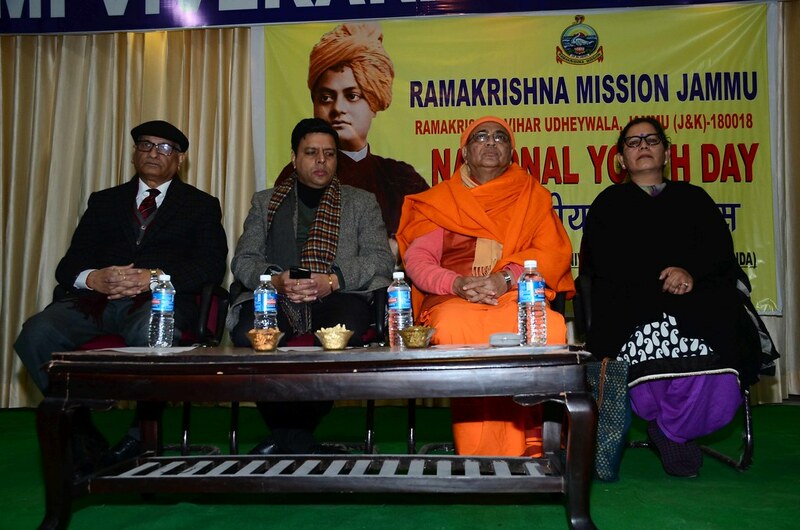 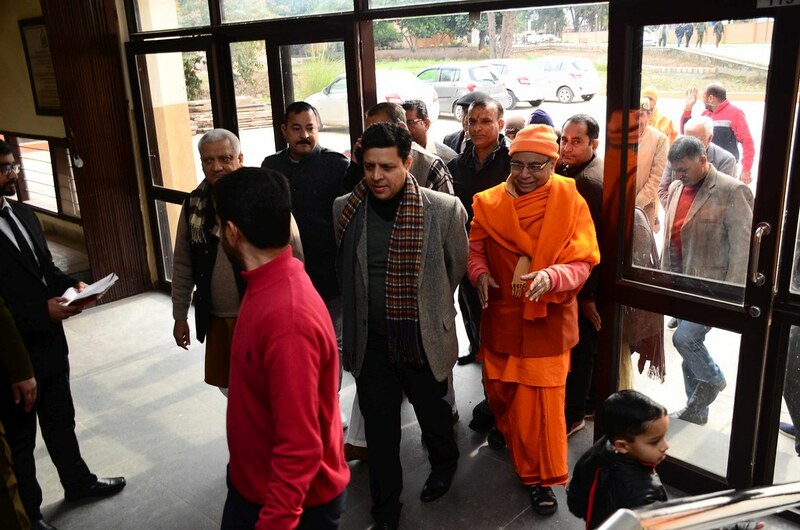 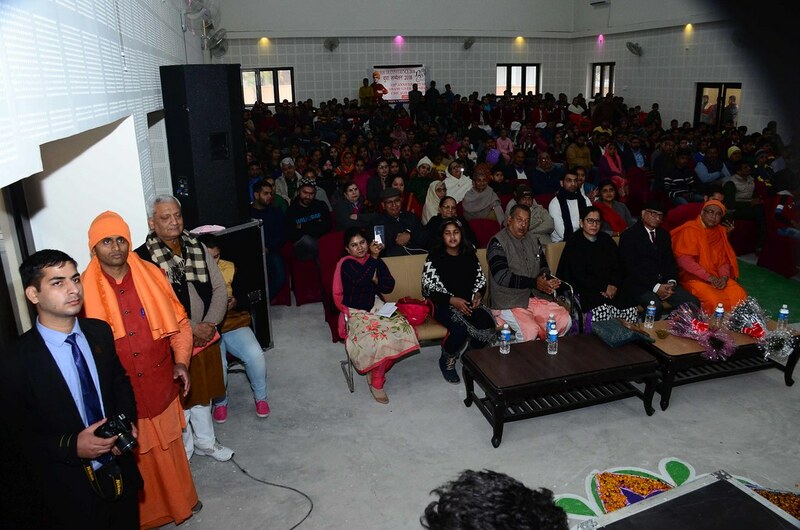 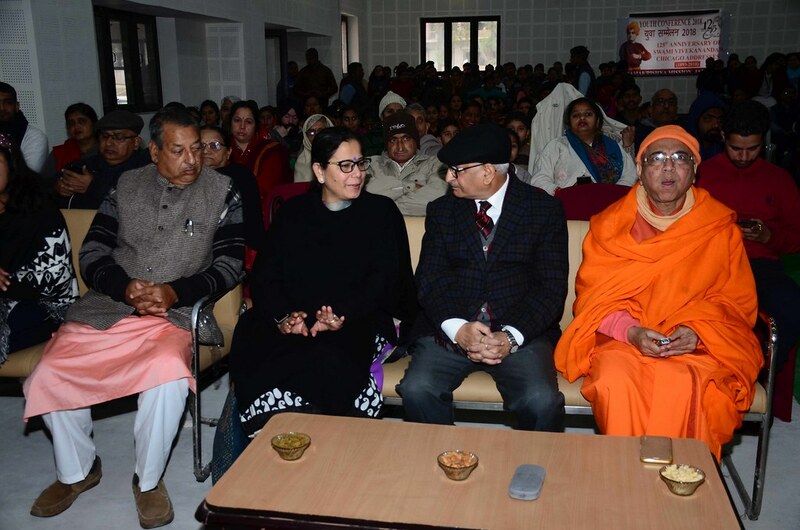 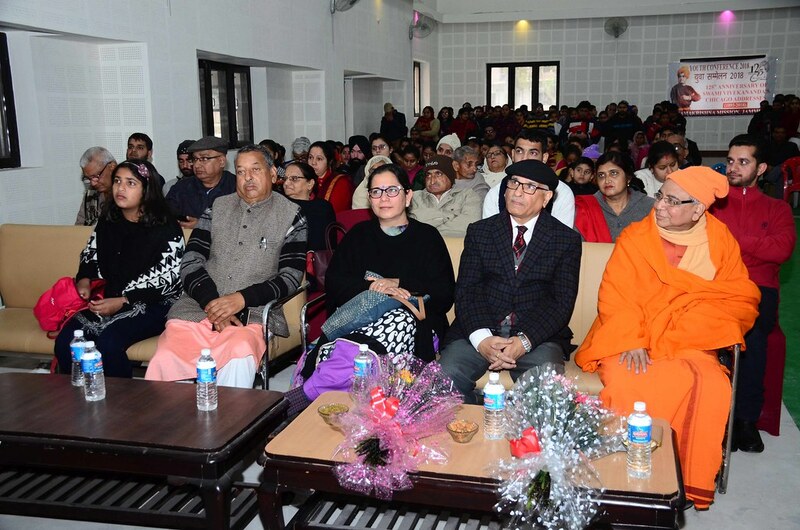 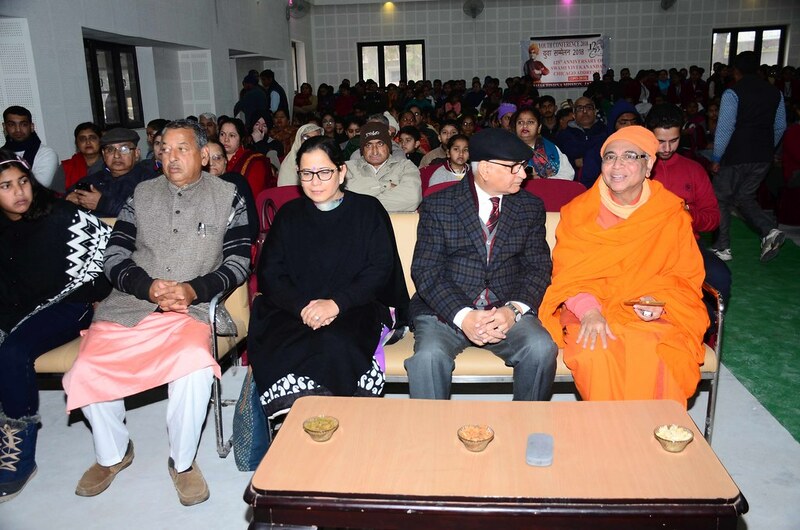 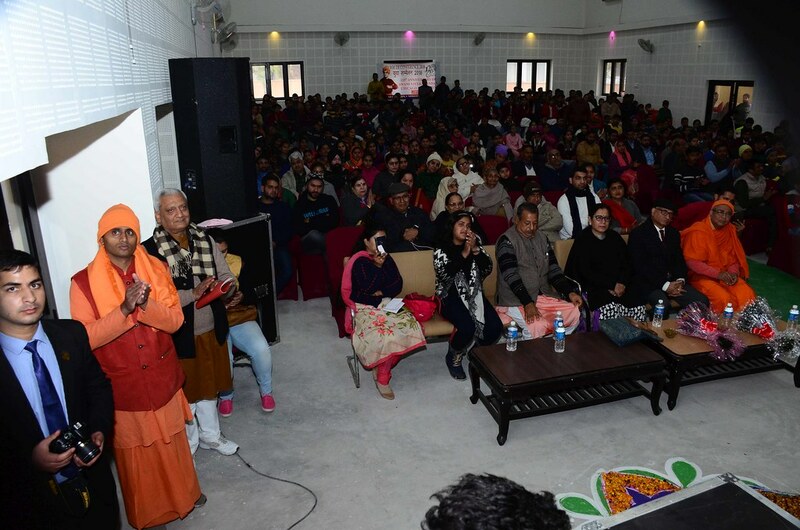 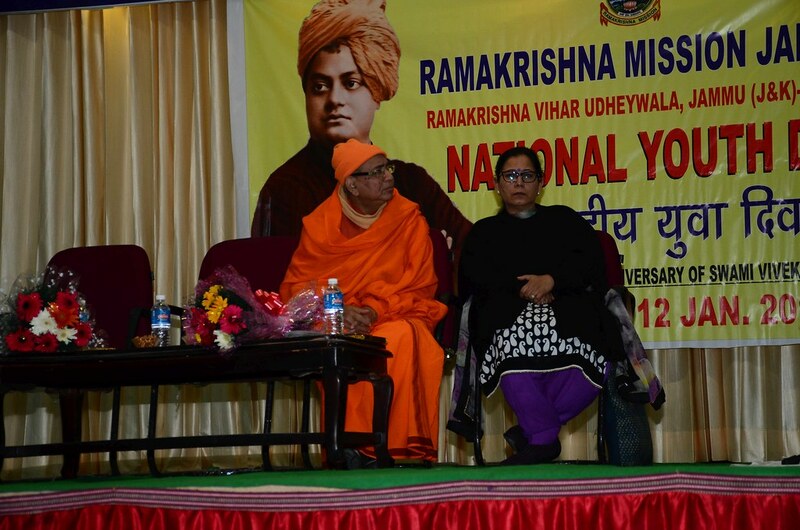 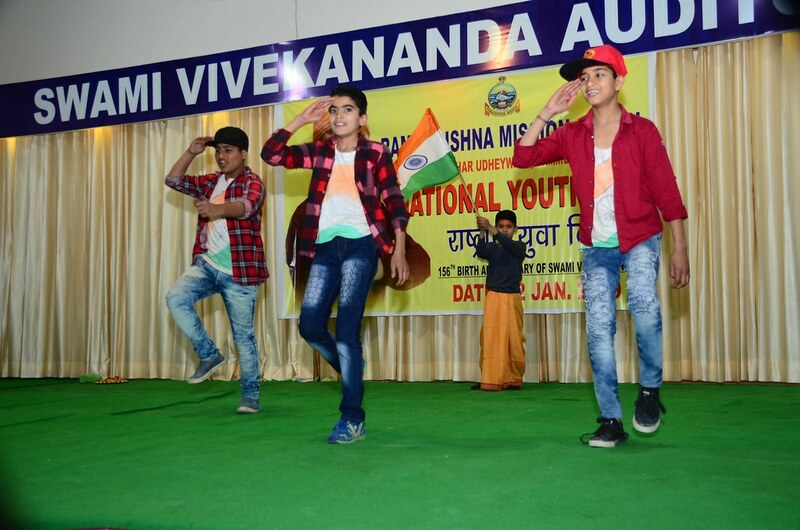 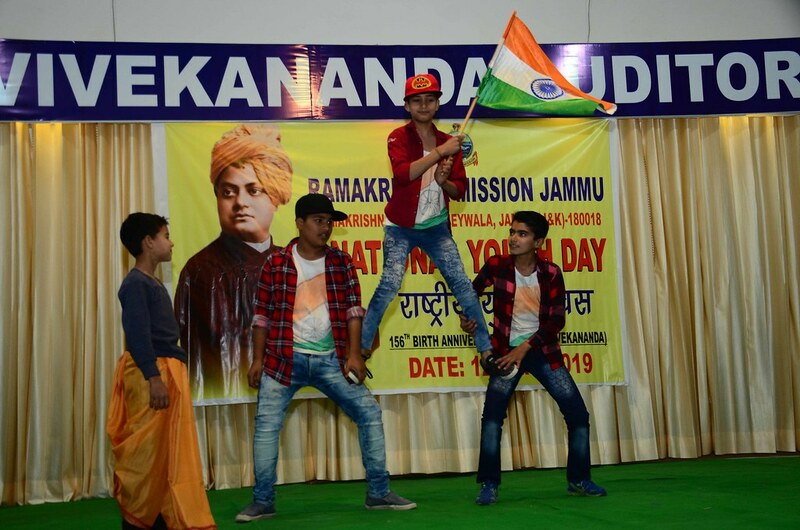 Ramakrishna Mission, Jammu celebrated the National Youth Day on 12 Jan 2019. 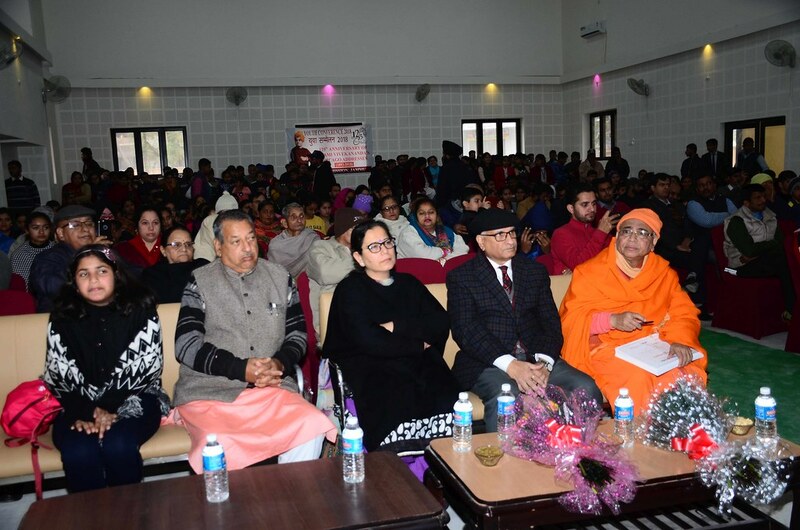 The programme was attended by 500 youths. 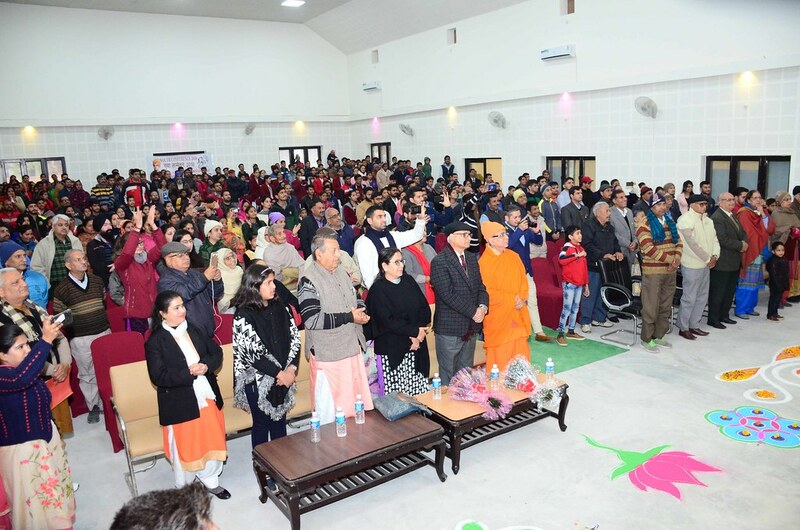 Chief Guest was Sri Sanjeev Verma, Divisional Commisioner, Jammu Division. 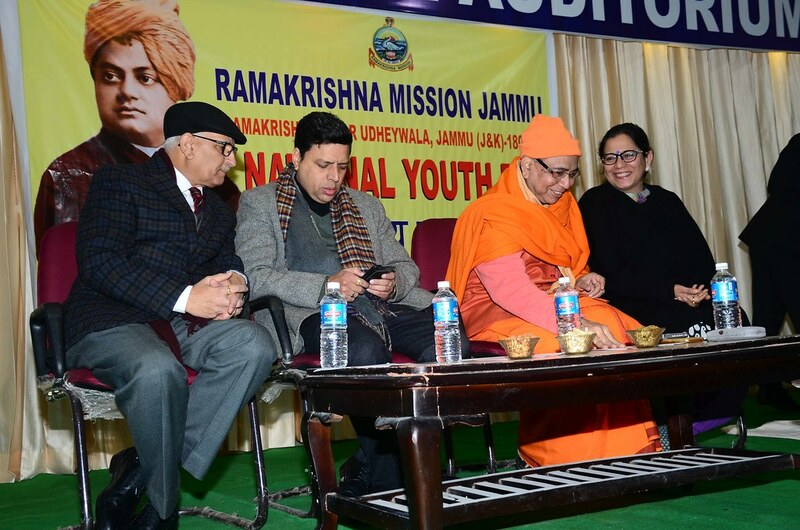 The programme was presided by Sri Suresh Kumar Sharma, Member, Public Service Commision, Jammu and Kashmir. 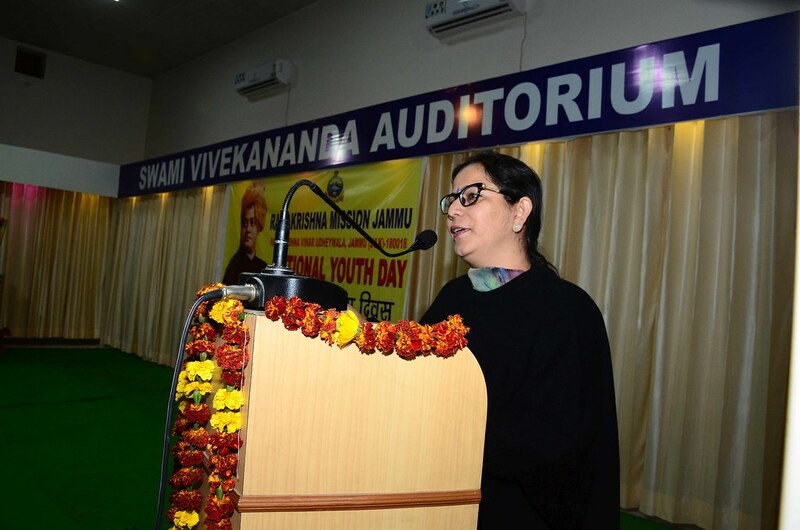 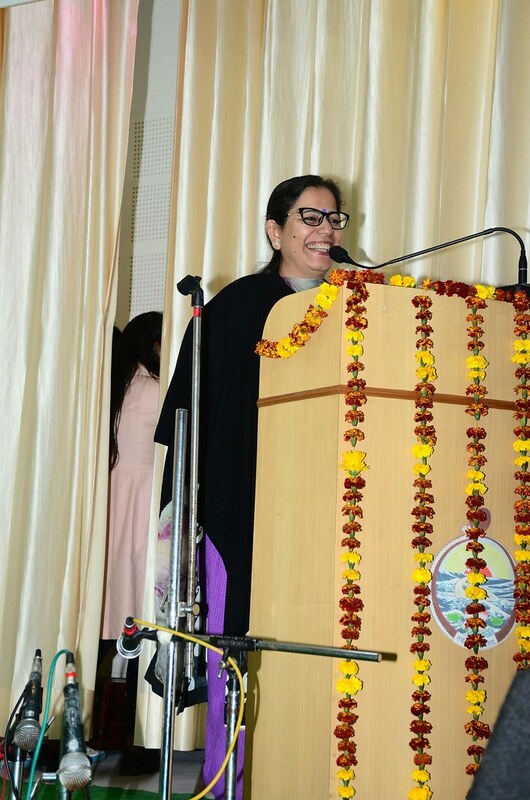 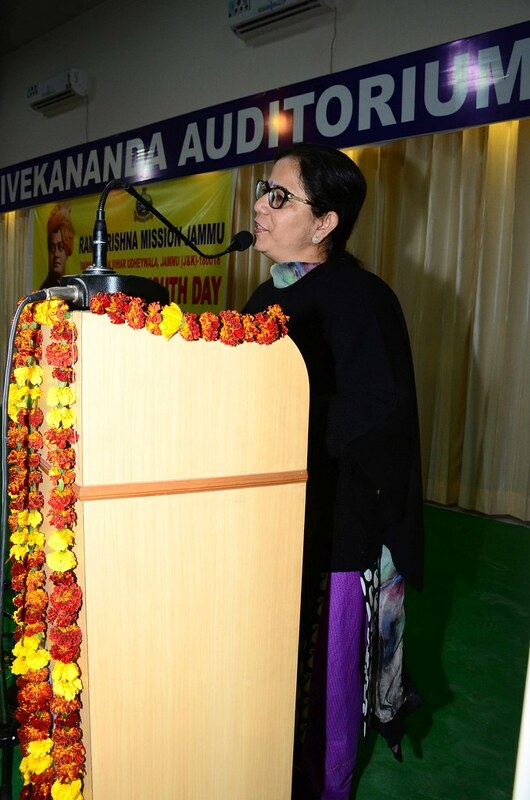 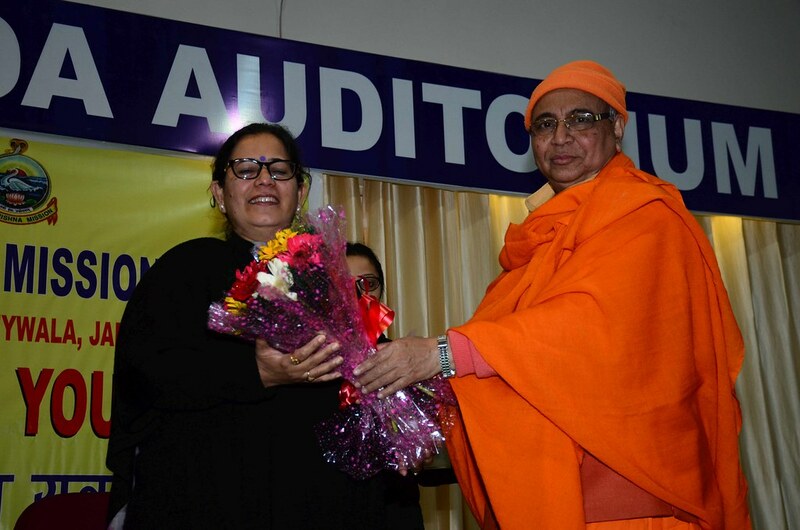 Guest of Honour was Mrs. Vishwa Raksha, Head of the Department, Sociology, Jammu University. 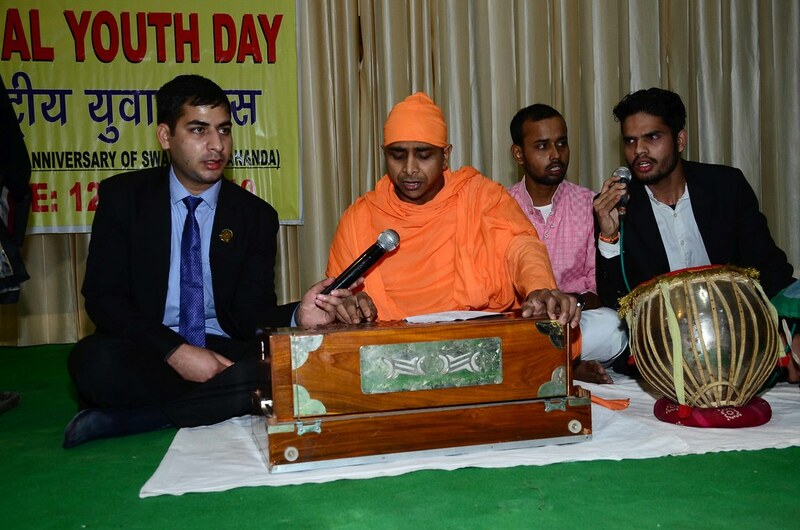 They delieverd very inspiring lectures to the youth and also come forward to take part in the social services for the needy people. 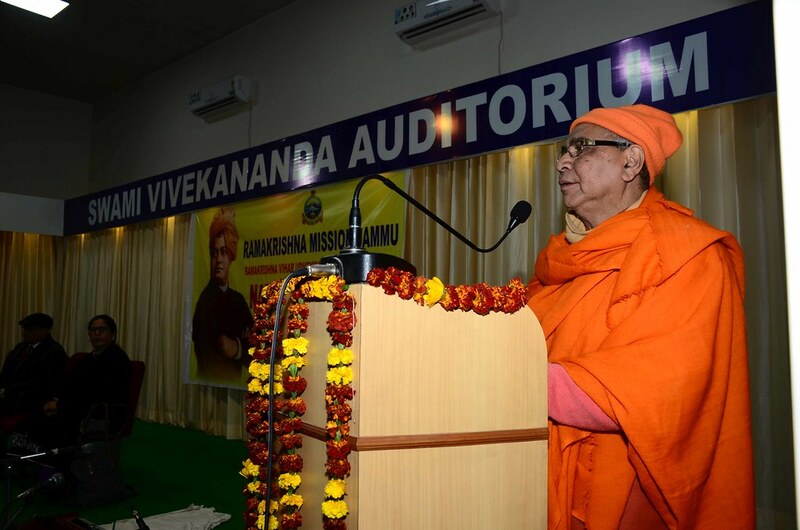 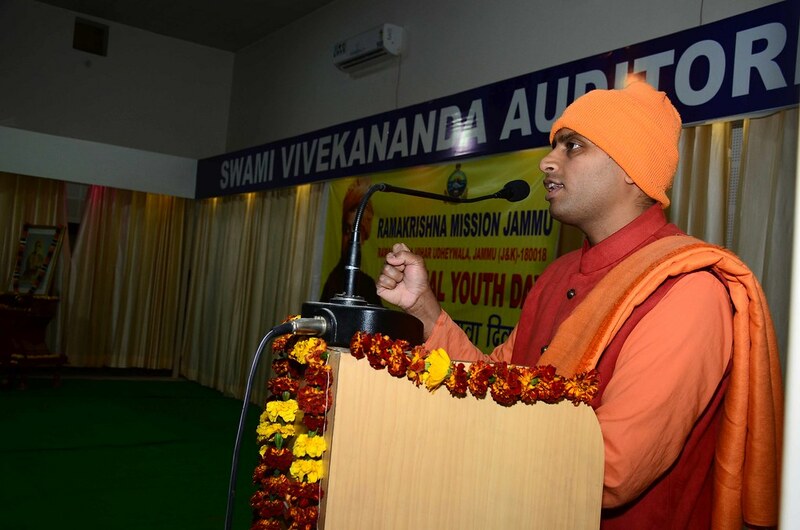 Swami Nirantarananda, Secretary, Jammu centre, delivered the Welcome Address. 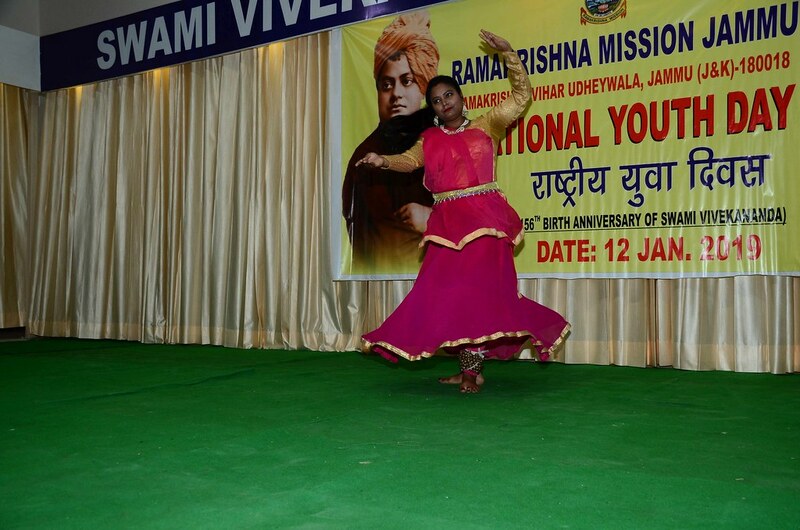 He justified the meaning of the National Youth Day, and how Swami Vivekananda was the greatest icon for the youths of modern India. 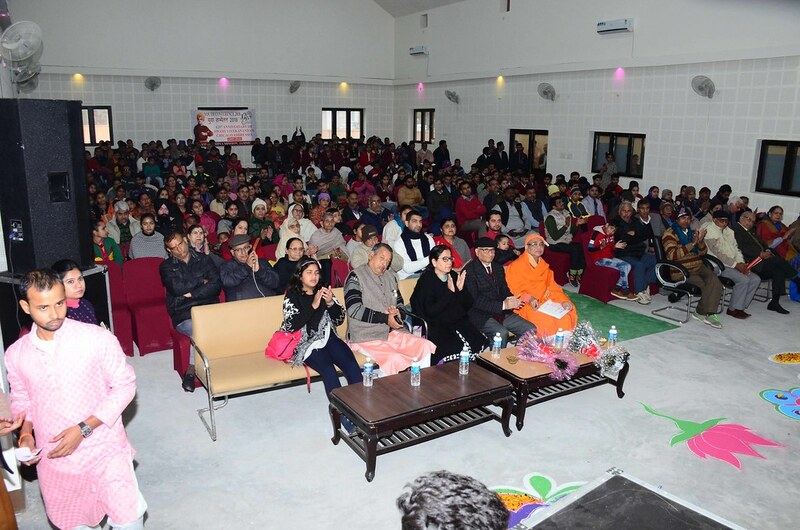 Students from several colleges and Universties participated in the Programme. 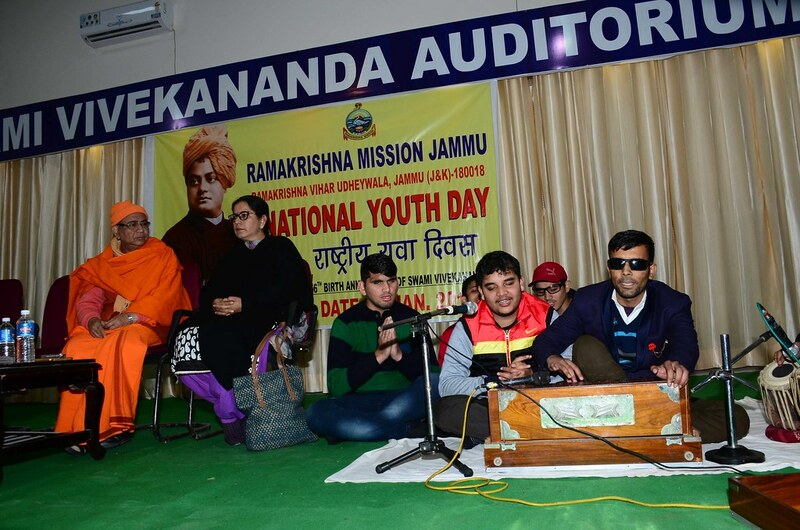 Opening song was sung by the divyanga boys of the Blind Boys Academy, Jammu. 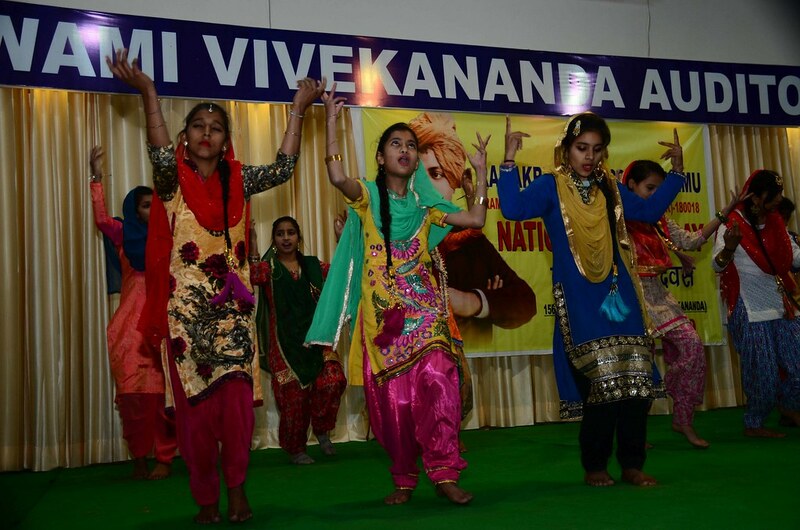 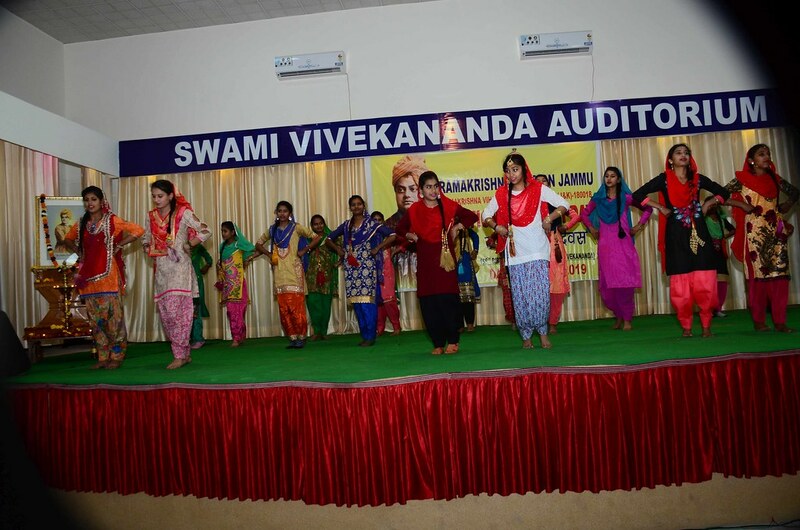 Cultural and educational programmes were also performed by youths. 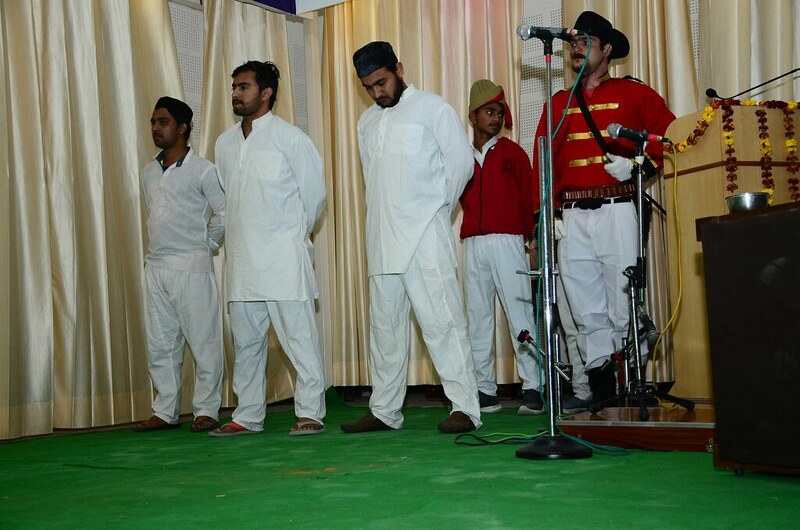 A drama on Shahid Bhagat Singh was staged which was most attractive. 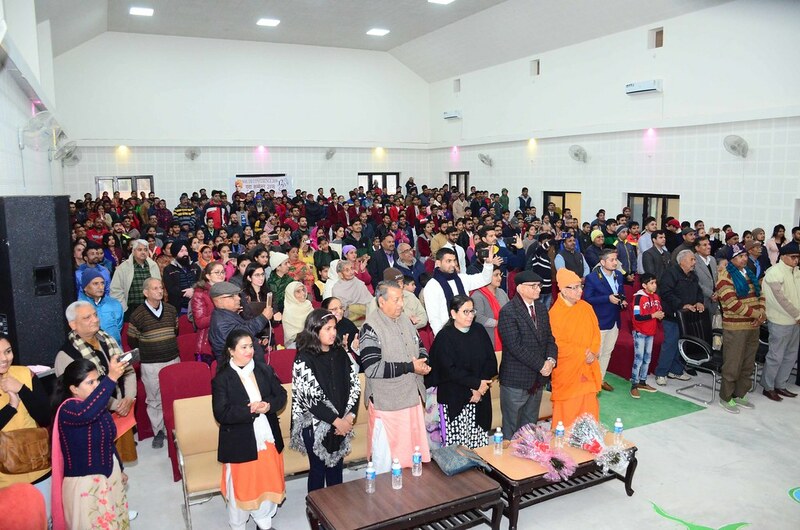 The programme came close with the National Anthem.